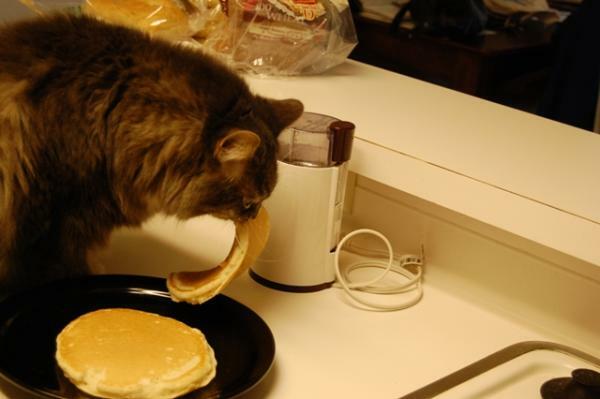 Waffles eats a Pancake: No, no, he didn't eat the whole thing. I made sure he only had a nibbled before I stopped laughing. He was trying to pick it up and run off, which he did until I snatched it away from him. Sneaky jerk.